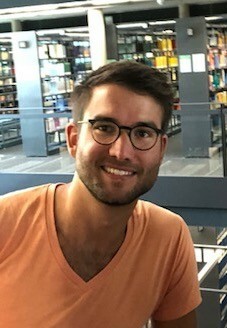 My name is Dominik and I am a PhD student at the Saarbrücken Graduate School of Computer Science and the Programming Systems Lab. I did my Bachelor's Thesis and a Research Immersion Lab on set theory formalised in Coq. I obtained my Master's degree from the University of Oxford with a thesis on intersection type systems and nominal automata. I recently finished a second Bachelor's degree in culutural studies with a thesis on foundations of mathematics hosted by the philosophy department. I am broadly interested in computational logic and its connections to the foundations and philosophy of mathematics. Currently, I am working on categorical axiomatisations of second-order ZF. CPP 2019, Cascais, Portugal, 2019. Journal of Automated Reasoning, 2018. CPP 2018, Los Angeles, USA, 2018. ITP 2017, Brasilia, Brazil, 2017. Bachelor's Thesis, Department of Philosophy, Saarland University, 2018. Master's Thesis, Lady Margaret Hall, University of Oxford, 2016. Bachelor's Thesis, Programming Systems Lab, Saarland University, 2014. Core Course, Programming Systems Lab. Basic Course, Programming Systems Lab. Basic Course, Compiler Design Lab.